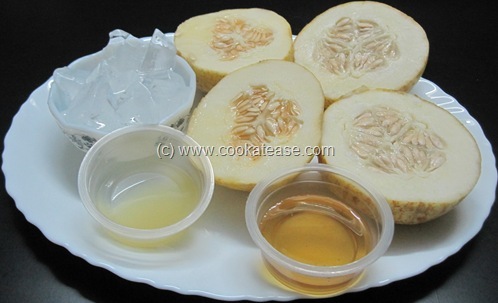 During summer, muskmelons (cantaloupe) and watermelons are seen every where in the city to quench the heat. 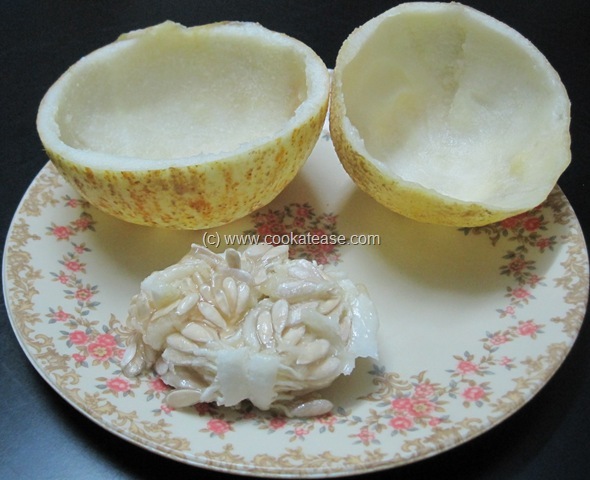 Ripe muskmelon has nice flavor with creamy texture. 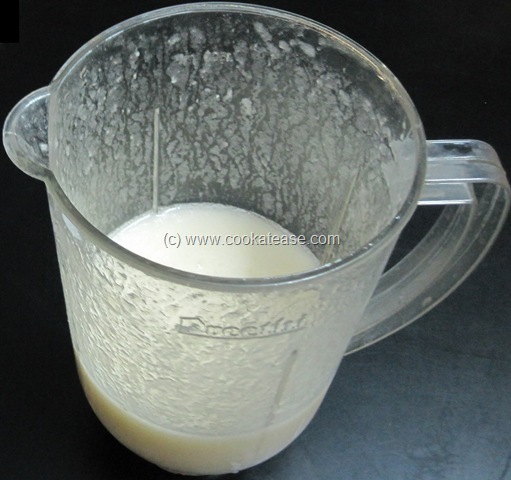 So I prefer to prepare juice instead of milk shake. 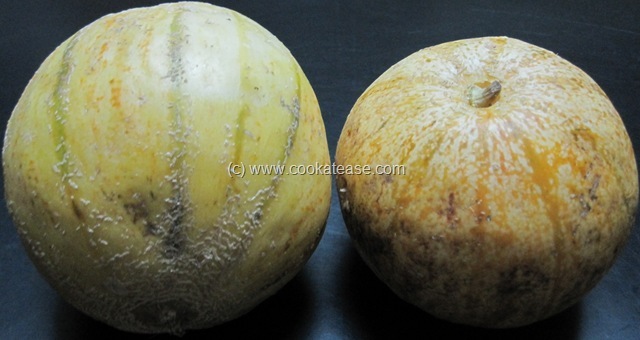 Muskmelon is called as Mulam Pazham or Kirni Pazham in Tamil and as Kharbuja in Hindi. 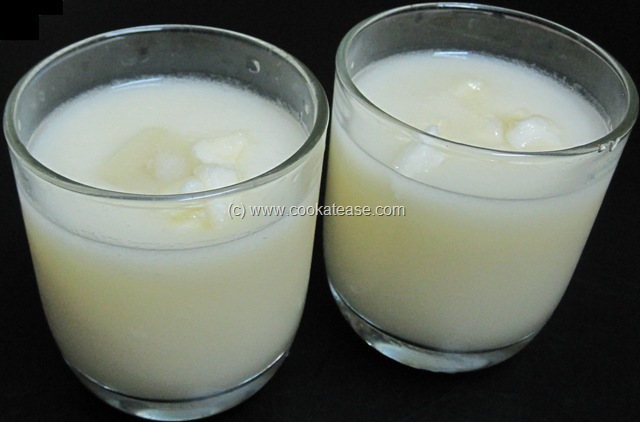 Wash and cut muskmelon; scoop out the seeds, take out flesh and put it in a blender; add ginger juice, lemon juice, sugar, ice cubes, salt, honey; run the mixer for few seconds; add cold water and run the mixer for few more seconds. 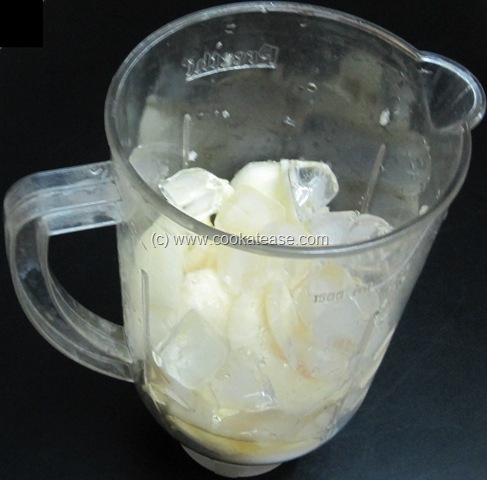 Now the juice is ready; if you want extra chillness add few more ice cubes and serve immediately. 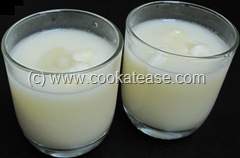 Quantity of lemon juice, ginger juice and honey may be varied as per choice. 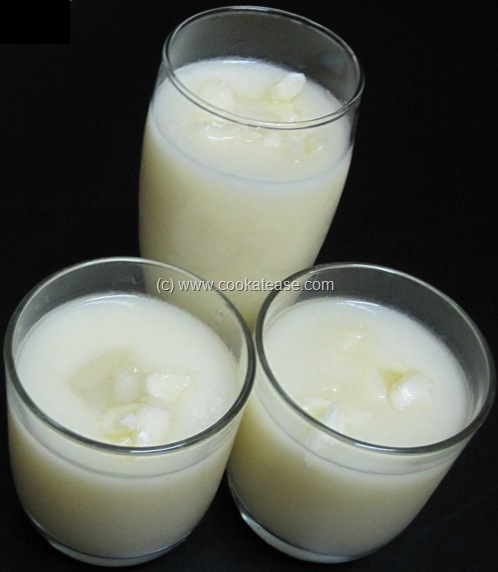 You can also scoop out the creamy flesh from muskmelon, mix it with jaggery or sugar, chill it and serve.